I’m so happy to have made it to a few Port City Dance Academy and Rondos Dance Theatre performances over the past few years. They are truly inspiring and so so beautiful to watch. Georgia, members of Rondos Dance Theatre along with Tara Butler, Syreeta Hector, Karen Galbraith, Natayu Mildenberger & Kleis Rondos-Duchesne present “the contemporary dance event of the summer”. 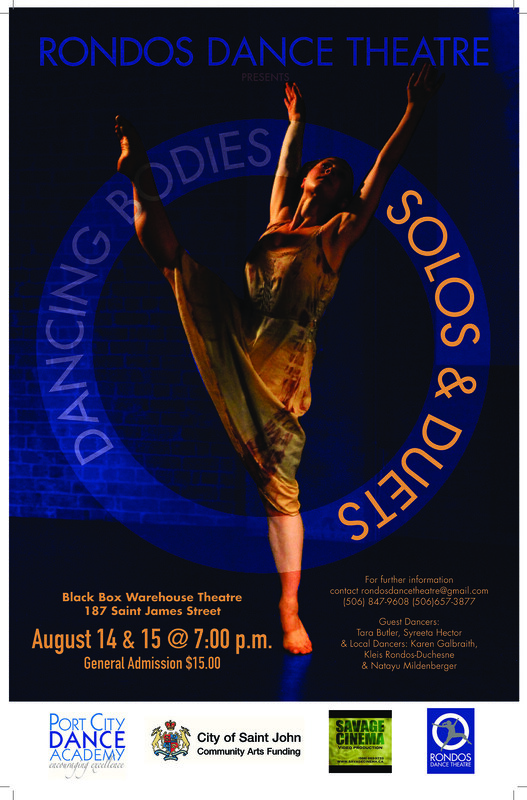 Dancing Bodies Solos & Duets happens August 14th & 15th at 7:00p.m. at the Black Box Theatre at 187 Saint Johmes Street. Tickets are general admission, 15$ each. I first met Georgia Rondos when I went on tour to meet and interview each and every person nominated for a 2012 Original – Saint John’s Arts & Culture biannual awards show. Up until our meeting (just over a year ago!) I knew very little about the dance community. I’ve been so glad to have made it to a few Port City Dance Academy and Rondos Dance Theatre performances. This week, Georgia, along with Karen Galbraith, Gina Grant, Natayu Mildenberger, Kleis Rondos-Duchesne, and Victoria Sadler (Rondos Dance Theatre) as well as Clare Rebecca Bassett (Kelowna Dance Co.) and Jane-Alison McKinney presents “the contemporary dance event of the summer”. 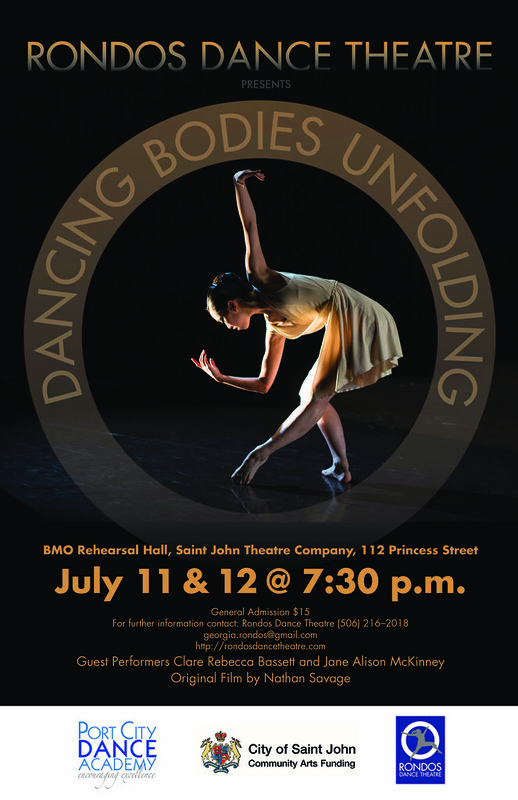 Dancing Bodies Unfolding happens July 11th & 12th at 7:30p.m. at the Saint John Theatre Company Building at 112 Princess Street. Tickets are general admission, 15$ each.